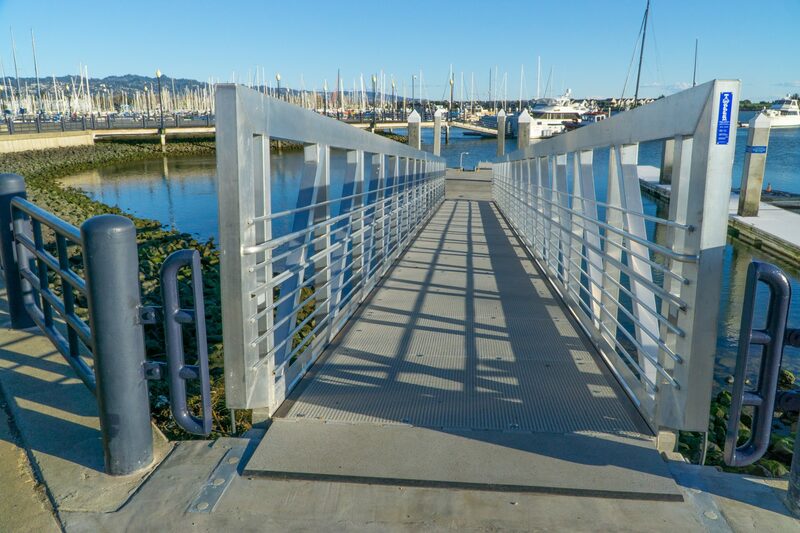 The Richmond Marina provides access to the Richmond Shoreline and beyond, with sweeping views of the Bay Bridge, Brooks Island, San Francisco, and Angel Island in the distance. 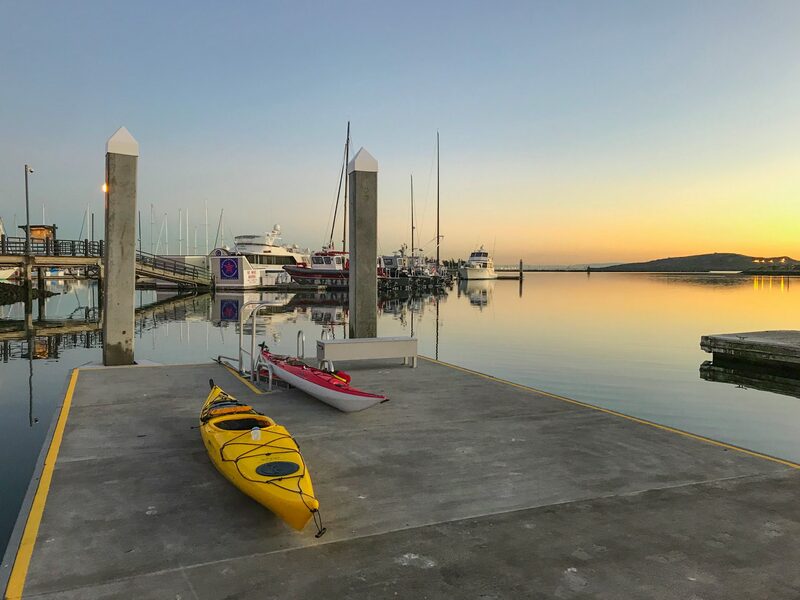 The Marina provides a protected launch and Marina Inner Harbor Basin provides an ideal location for paddling that is sheltered from the winds. 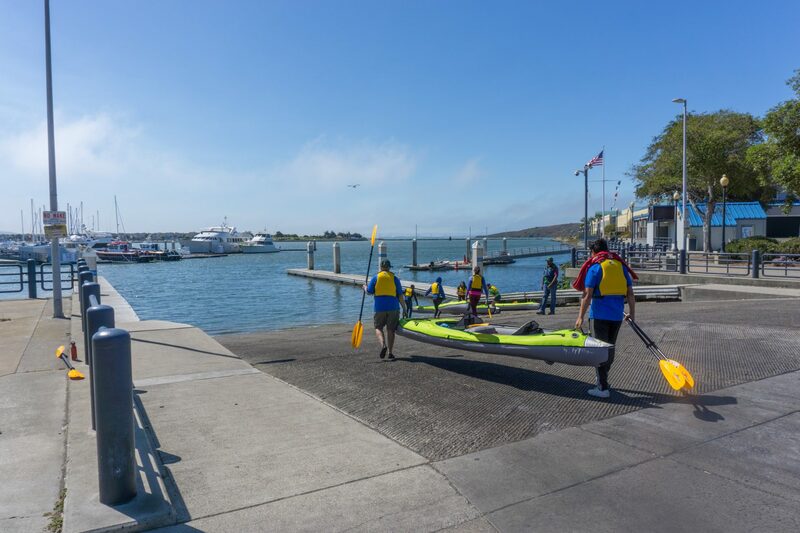 A concessionaire, 510 Waterline, offers SUP lessons and equipment rentals. 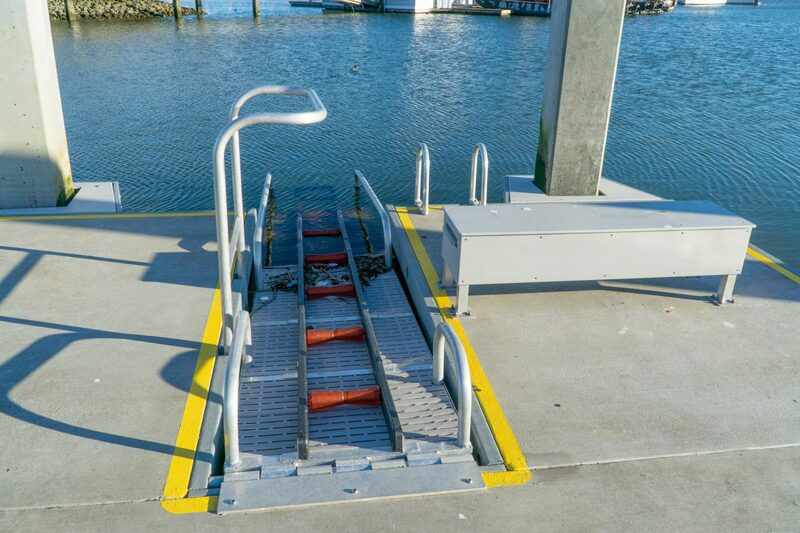 Boat launch facilities consist of an ADA low-freeboard dock with a kayak assist and two SUP handrails. 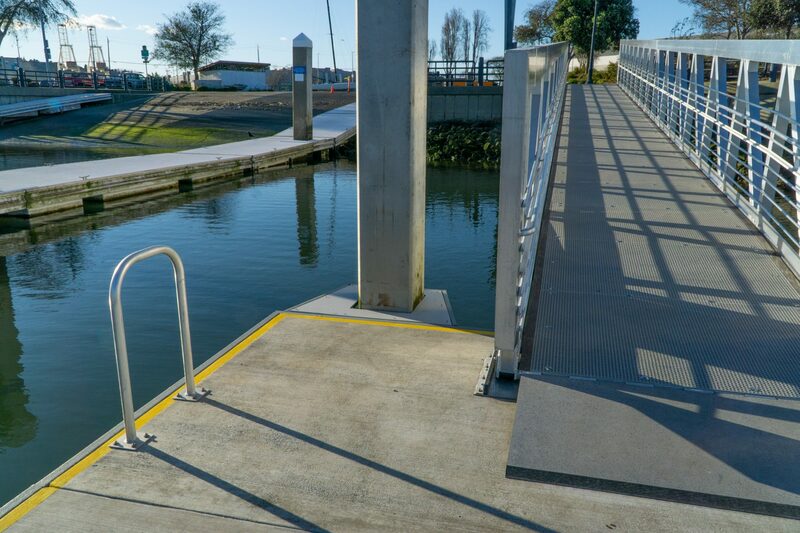 The Water Emergency Transportation Authority (WETA) constructed the ADA launch in 2018. 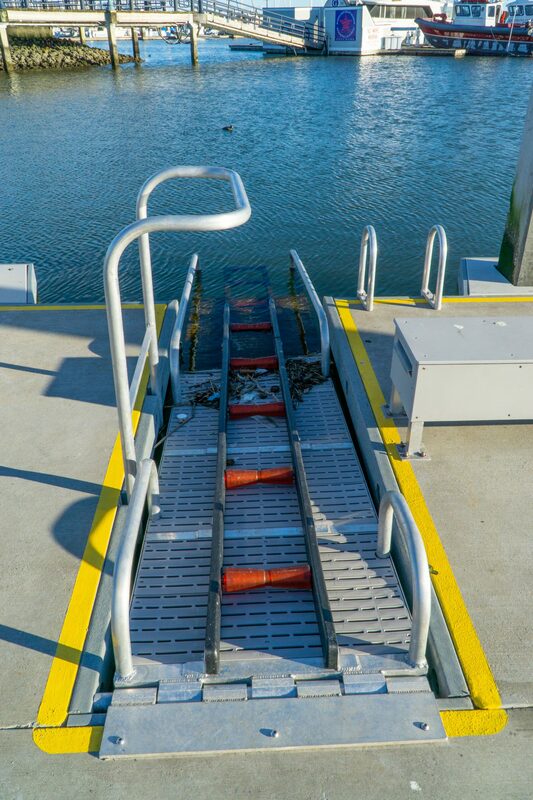 This facility also includes a kayak staging area, ADA gangway, transition plates, and kayak roll-bars with a transfer system. 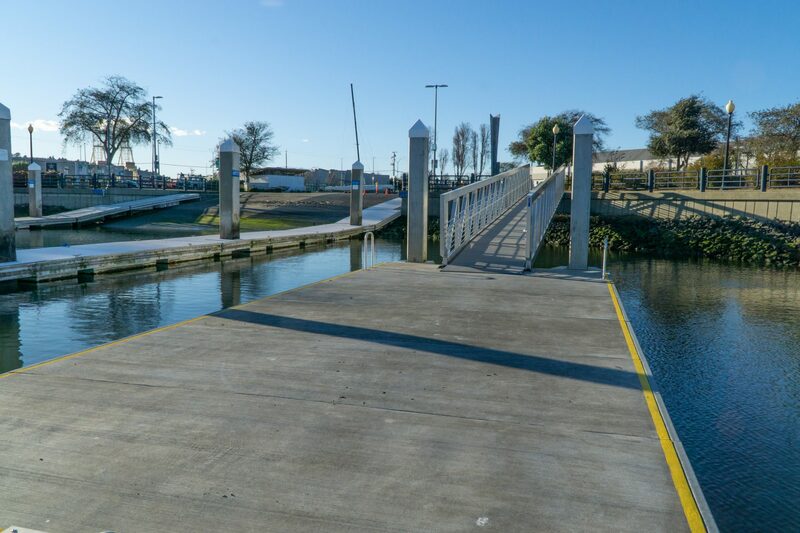 There is also a corrugated cement boat ramp and two high-freeboard docks for larger craft. 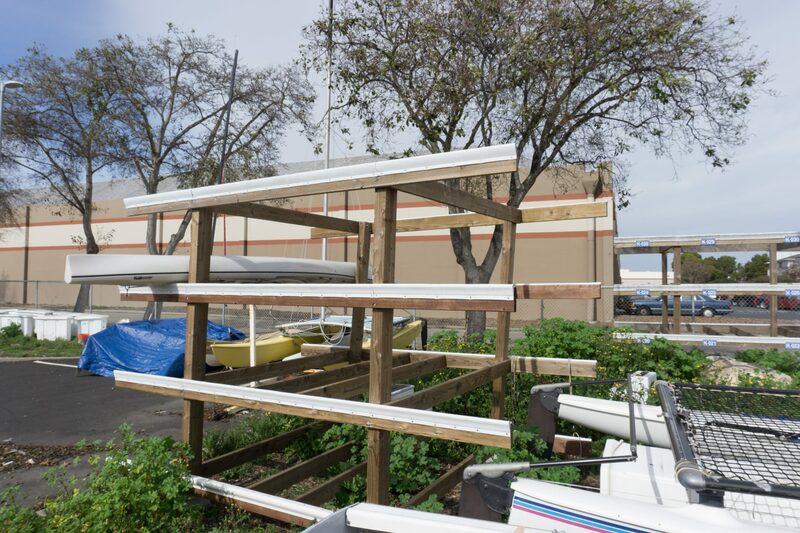 The Marina offers public boat storage for $30/month for outside storage and $40/month for inside storage. 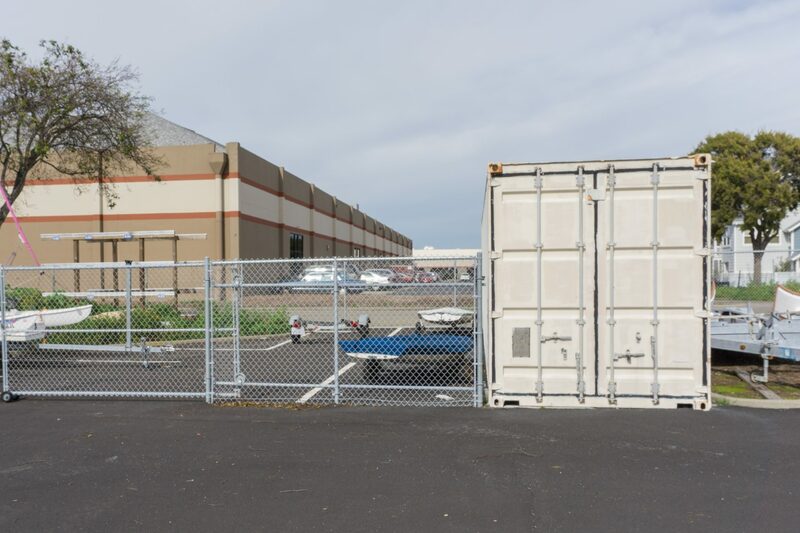 From I-580, take the Cutting Boulevard / Harbour Way South exit and turn onto Harbour Way South. Follow the round for approximately 1 mile then make a left onto Hall Avenue. 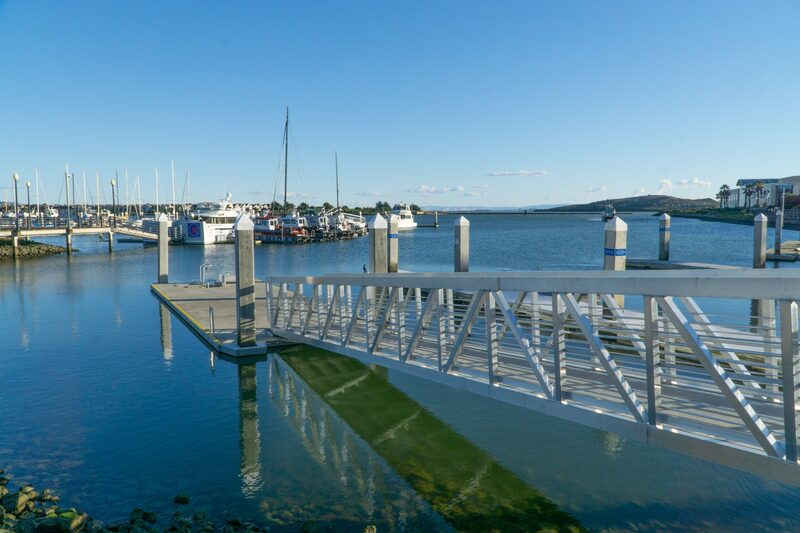 The Marina is located at the end of Hall Avenue. 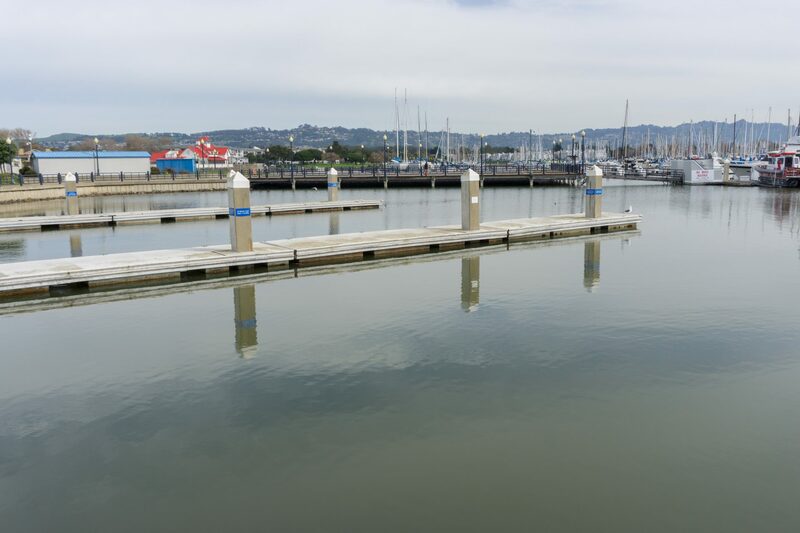 The 74 bus line stops at Regatta Boulevard and Marina Way, approximately 0.8 miles from the Marina. 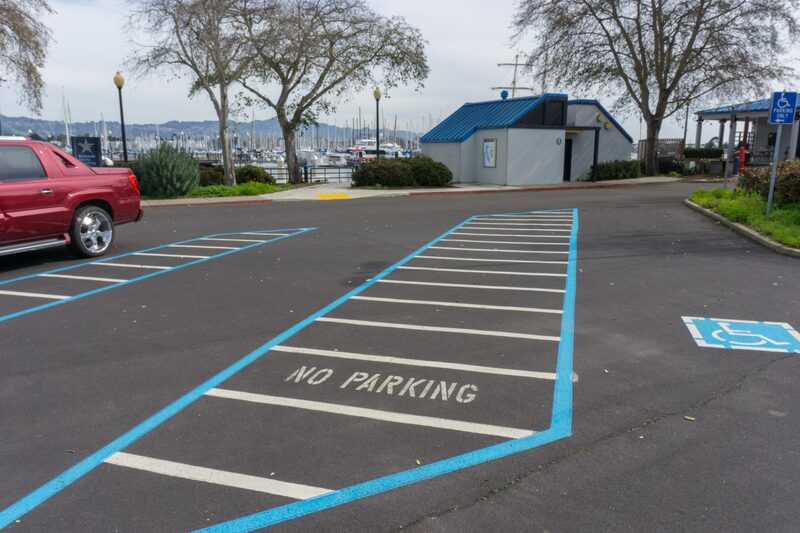 Ample paid parking is available at the Marina. 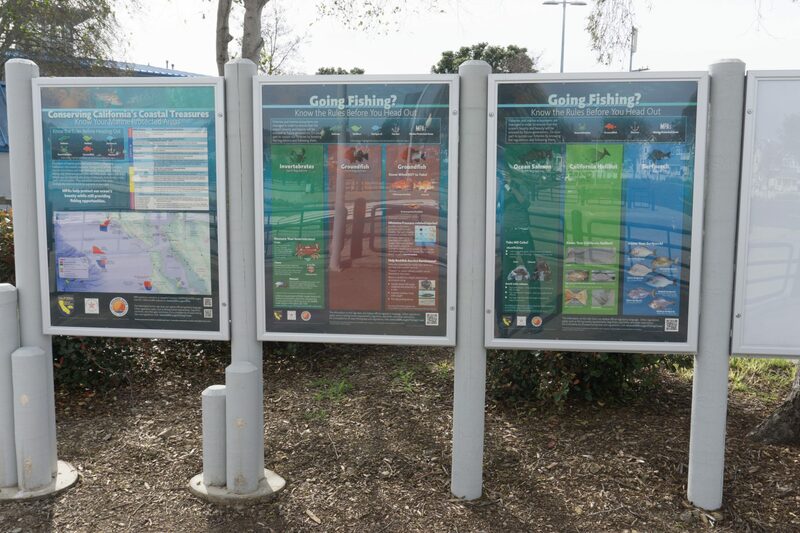 Currently parking is $10 for 24 hours or $20 for 48 hours, which can be paid at an electronic kiosk. 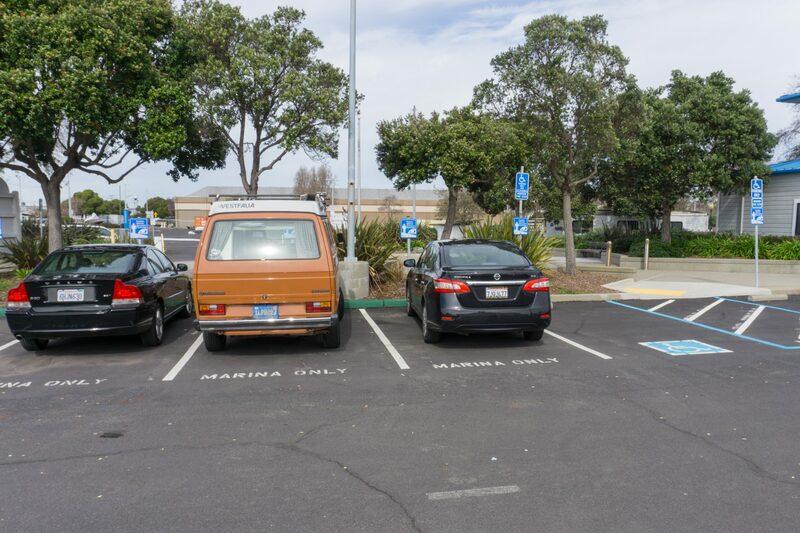 There are also four free Public Shore parking spaces in the business park lot next to the marina. 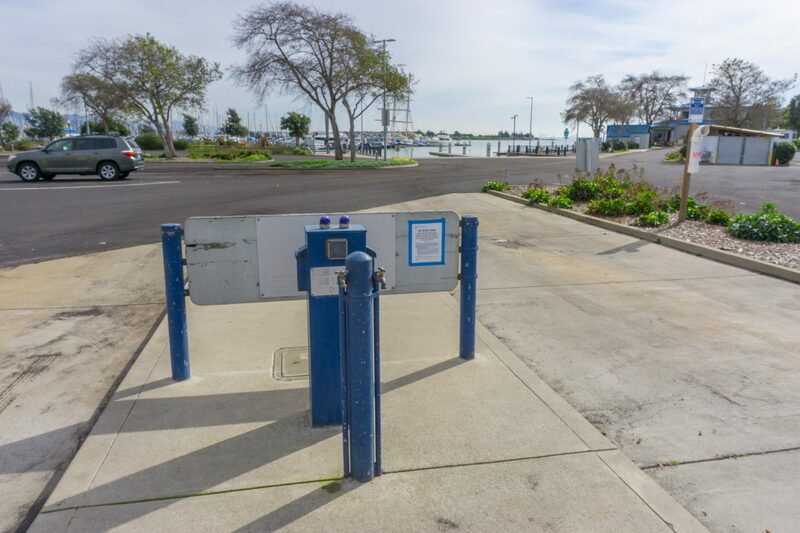 ADA restrooms with running water are located near the top of the boat ramp. 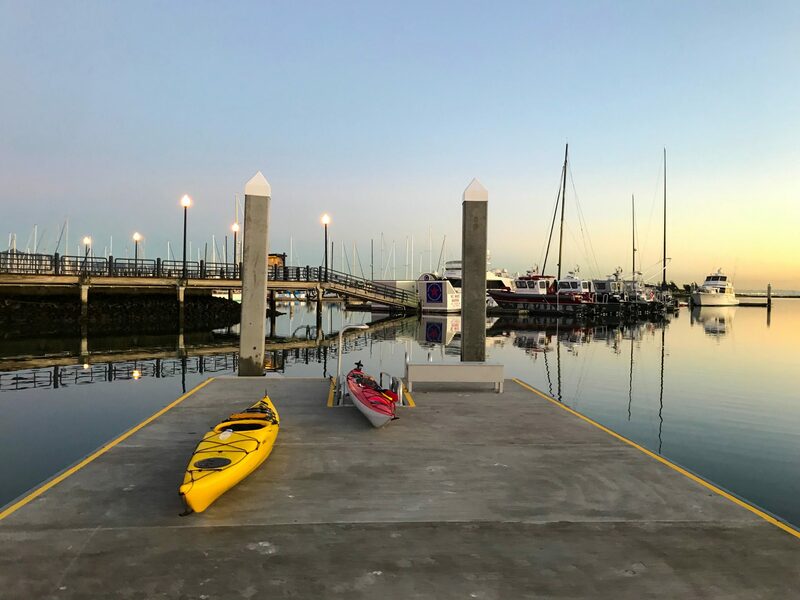 Marina Bay provides a variety of nearby amenities including boat storage, a boat washdown area, restaurants, walking paths, benches, and restrooms. 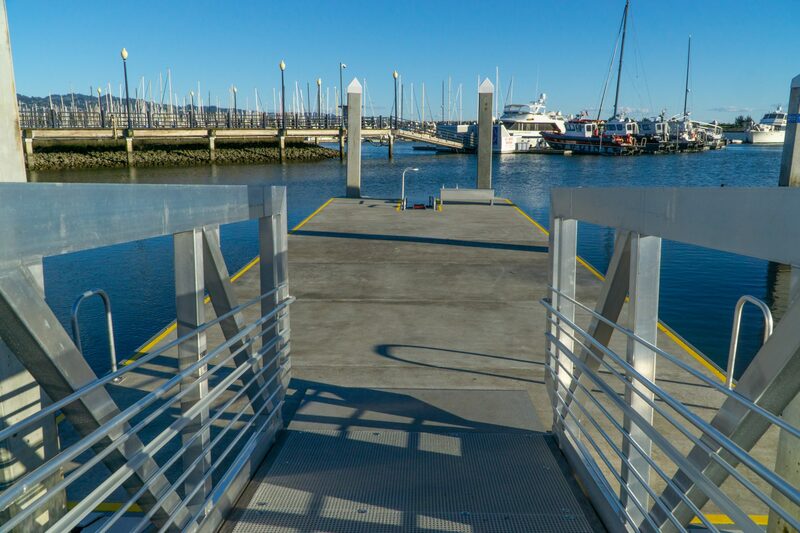 The recently constructed kayak launch has been designed to meet ADA standards, with a wide gangway, transition plates, transfer seat, and paved path of travel. 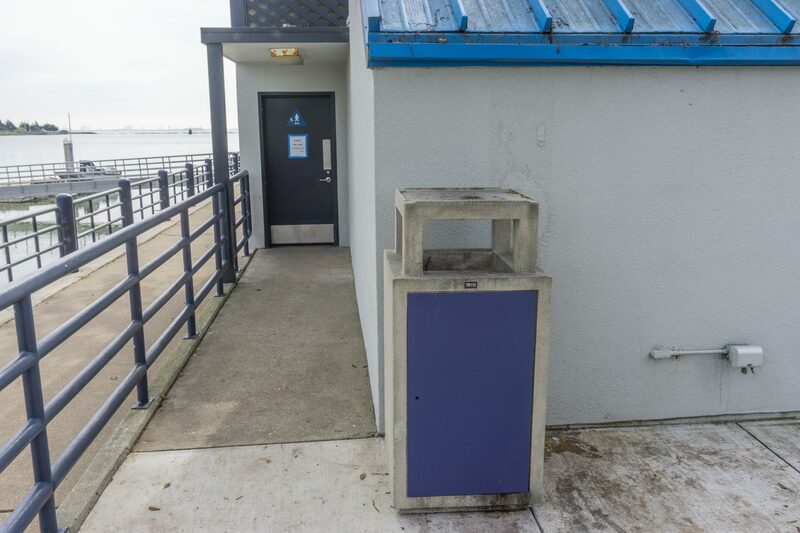 The shoreside facilities include a variety of accessible facilities, including a path of travel (not marked), sidewalks, restroom, and parking that all appear to be ADA accessible and well maintained. 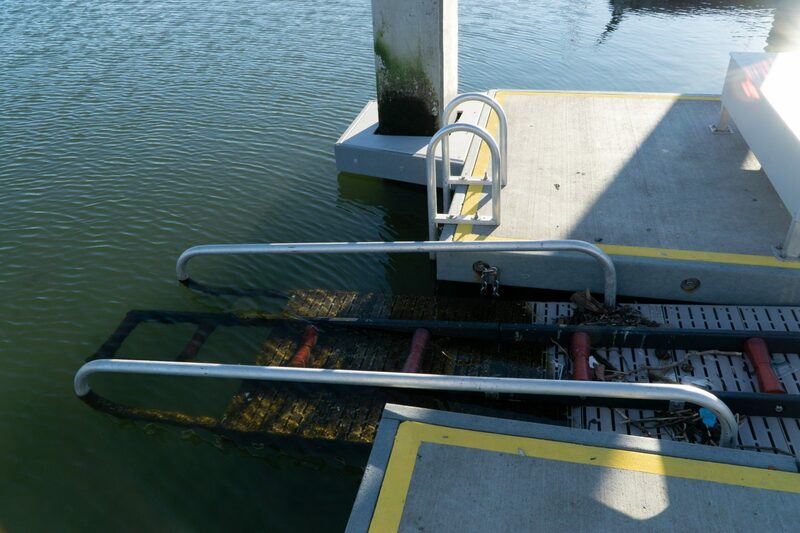 This launch is used primarily by motorized boats and can get crowded on weekends, so care needs to be taken to avoid user conflicts. 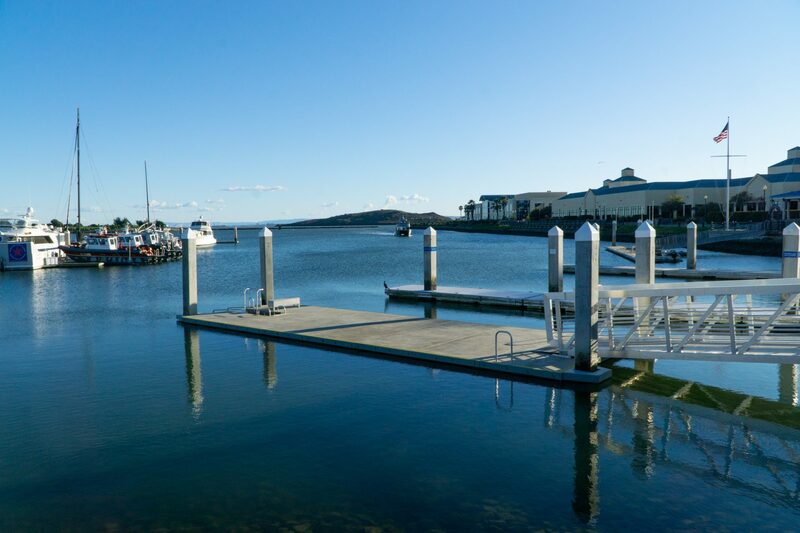 Motorized boats and sailboats are regularly moving throughout the marina, particularly near the mouth of the marina. 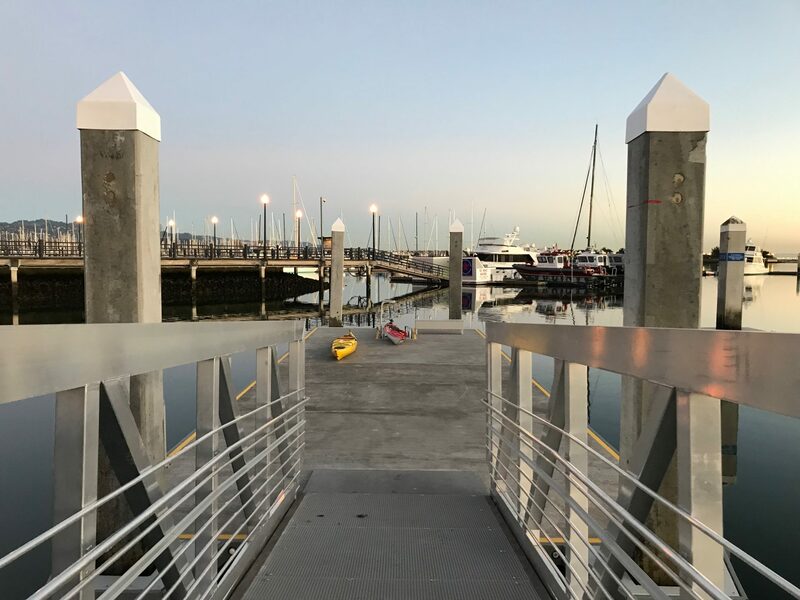 In addition, large ships utilize the Santa Fe Channel, located to the west of the Marina, so small non-motorized boats need to take caution to avoid these vessels. 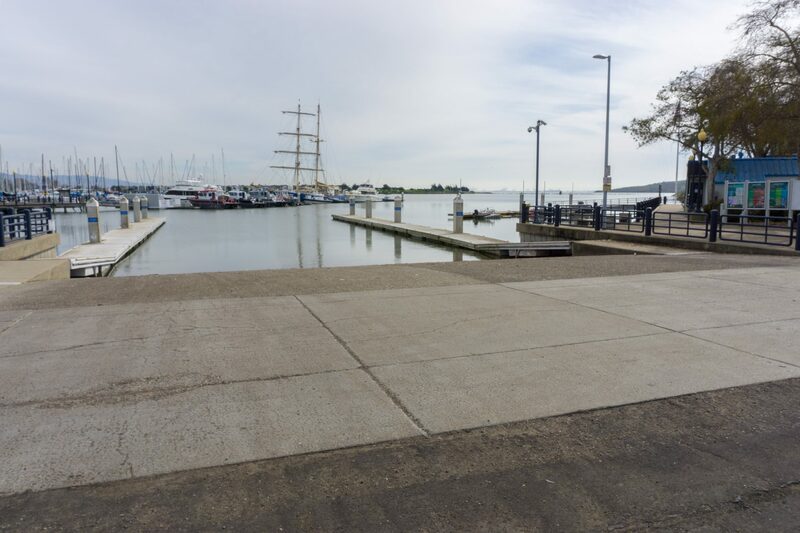 There is a 300-foot security exclusion zone around the Chevron Long Wharf, located 3.5 miles northwest of the Marina. 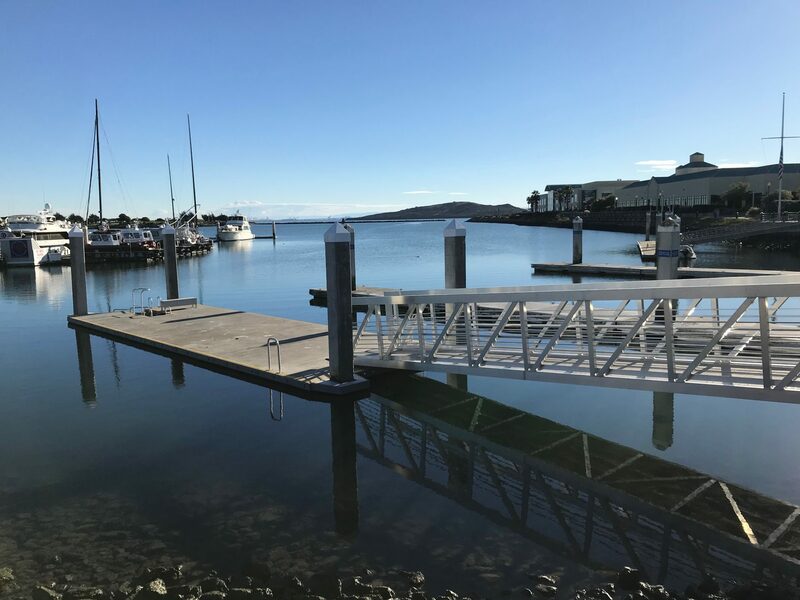 The Harbormaster is onsite daily between 9AM and 5PM. 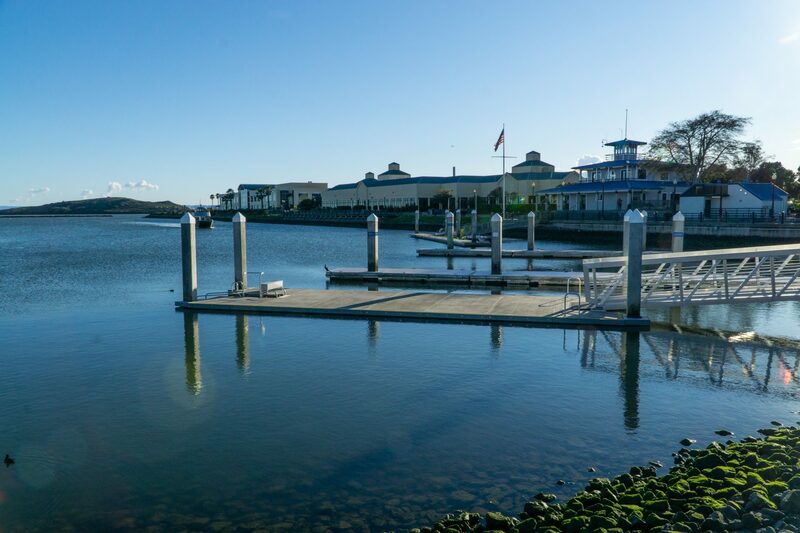 Brooks Island is located approximately one mile offshore from the Marina. Brooks Island hosts 18 species of nesting birds, including herons, gulls, and terns. Brooks Island is also home to a secondary harbor seal haul-out site.  Access to Brooks Island is only allowed seasonally on the western sandspit of the Island or as part of a scheduled East Bay Regional Park District naturalist tour. 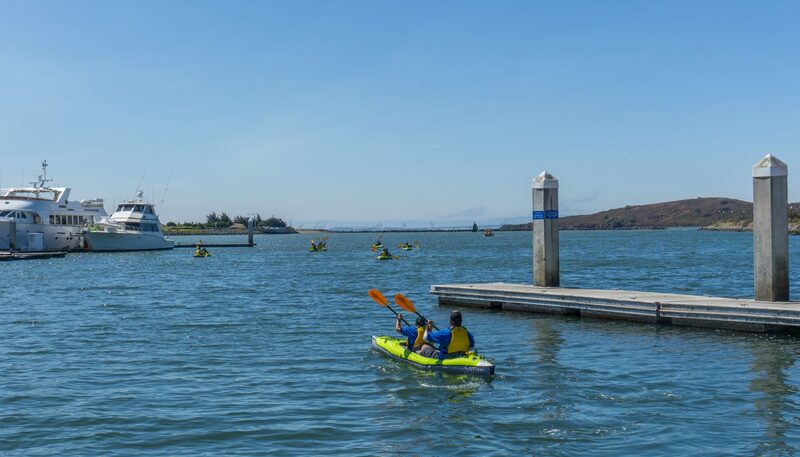 Trips to Brooks Island can be scheduled through EBRPD Reservations Department. The Albany Mudflats Ecological Reserve / State Marine Park, an important feeding ground for a variety of shorebirds and waterfowl, is located approximately 2.5 miles to the southeast. The Albany Mudflats are extremely shallow during high tides and large mudflats are exposed at low tides. Due to the potential to get stranded and for sensitive habitat considerations, paddlers are not allowed to enter this area.